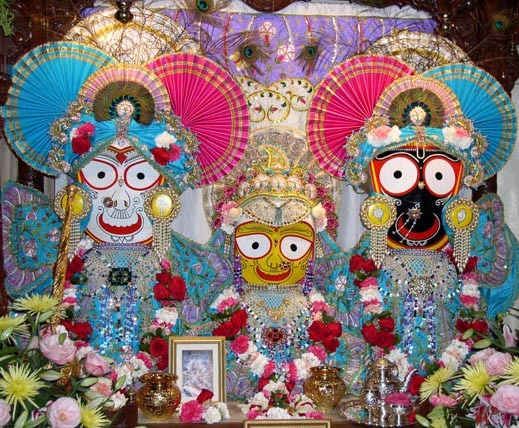 "In His left hand Lord Jagannatha holds a flute. On His head He wears the feathers of peacocks and on His hips He wears fine yellow silken cloth. Out of the corners of His eyes He bestows sidelong glances upon His loving devotees and He always reveals Himself through His pastimes in His divine abode of Vrindavana. May that Lord of the Universe kindly become visible unto me."